Ah Thailand, “The Land of Smiles.” No matter where you go in this magical country- north, south, east, or west- you’re sure to stumble upon something new and magical. While it’s easy to look at major cities like Bangkok, Chang Mai, Krabi, Phuket etc., I would argue that the real magic is in small towns. While Songkhla may not have been a blimp on your radar, I can assure you that in this smaller town, huge things are happening. Whether we look at the physical geography, the ethnic diversity, or daily life, there’s simply something special about Songkhla. Songkhla is special for many reasons, the first is the geography. Songkhla City is located in the Songkhla Province, one of the southernmost provinces in Thailand. 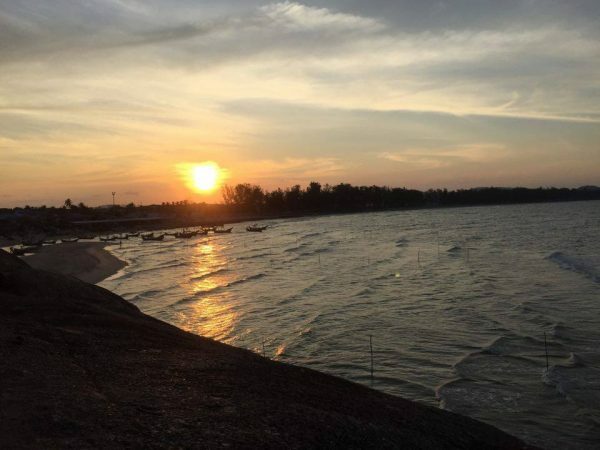 Songkhla is surrounded by three major bodies of water: Songkhla Lake (the largest natural lake in Thailand), Cape Samilia Beach, and the Gulf of Thailand. With these three bodies of water surrounding the city, here in Songkhla not only do you have the cool sea/lake breeze but you also get the calmness that comes with being surrounded by water.. Additionally, the geography of Songkhla is perfect for anyone that loves to travel. Songkhla is only a four hour van ride from island paradises like Koh Lipe and Krabi and six hours from Phuket. Further we have an airport less than an hour away in Hat Yai that flies domestic and international, making it perfect for the traveler at heart. Moreover the Malaysian border is less than two hours away, providing a quick escape to another country with a completely different culture as well as a quick stop for a visa run. Speaking of the Malaysian border that leads us to another special something Songkhla boasts over the majority of places in Thailand: diversity. In Songkhla we have a large population of Thais but also Thai-Muslim, Malays, Chinese, and believe it or not, Westerners. Here in Songkhla, many Westerner’s do not visit, aiding the city in keeping its traditional Thai roots. However, we do have a Western population of about 150+. Out of that, about 50 are teachers from around the world including the United States, South Africa, Canada, the United Kingdom, France, Poland, and more. The other Westerner’s tend to work in oil, which Songkhla is abundant in, making it one of the richest provinces in all of Thailand. As a Westerner in a small town where the majority of people don’t speak English, it’s assuring to have a community whom you can retreat to when you just need to have a conversation with someone in English or go for a more Western meal. Wait, western meals in a small town? You betcha! With an above average amount of Westerner’s, Songkhla boast a plethora of dining options for any diet. Since the city is surrounded by water, you will find some of the freshest seafood in all of Thailand here, making Songkhla perfect for seafood lovers. A few of my go to meals are Pad-Gruh-Pow-Ruh-em-eet kai dow (white rice with stir-fried seafood, chicken, basil, garlic, and chilies) and Pad-Kee-Mao Ta-lay Mee-Lou-Ung (stir fried yellow noodles in a spicy sauce with seafood) and Khao-Ki-Gee-Ow (a fried omelet with rice). All of these meals will cost you between 25-50 baht ($1.00 USD-$2.50 USD)! While I frequent local Thai carts and restaurants (mostly on Wachira Road in the city) because they are always the cheaper option, you’ll find many Western restaurants as well mostly on what we call Farrang (foreigner) Road. Feeling a cold or fresh pressed sandwich with fries? Check out Hot Bread Shop. Wanting Mexican food that reminds you of the West? Might I recommend P&J? Or maybe you want to take in a beautiful view with dinner? Blue Smile Café boasts pastries, burgers, pastas, and a full drink menu. On many Western holidays (and sometimes randomly) like on St. Patrick’s Day, Christmas, and Thanksgiving, many of these restaurants will also offer a complimentary meal, which is always nice when you’re missing home. Travelling options? Check. Diversity? Check. Food? Double check! But what is there to actually do on a typical weeknight or weekend? Honestly it’s whatever tickles your fancy. After work I usually come home and take a second to put my things down and enjoy my bed. From there I’m either going to call a friend to grab some food and hangout, plan for tomorrow’s lesson, unwind with a little FIFA on my X-box (always welcome to lose if you ever want to join) or I’ll head to Samilia beach for a sunset. Additionally we have four different night markets. One only on Sundays, another on Monday and Tuesday, a night market on the weekends and a once a month market in China Town, making it ideal to go shopping/thrifting for knick-knacks, clothes, or food. On weekends, if I’m not staying in Songkhla, going to a pool, the Songkhla Zoo (which is a drive through zoo with a water park at the end) the beach, go-karting, or going for dinner and drinks with my friends, I love getting on my motorbike and exploring Songkhla (it’s much easier to drive in Songkhla than other places in Thailand, but you also have the choice of getting an air-conditioned minivan ride around or you can take a Songtow or Tuk Tuk). It took me a few months to realize I didn’t have to go to Tesco (10-15 minute drive) for everything and there were a plethora of shopping markets around, I just had to find them, like with any new place. 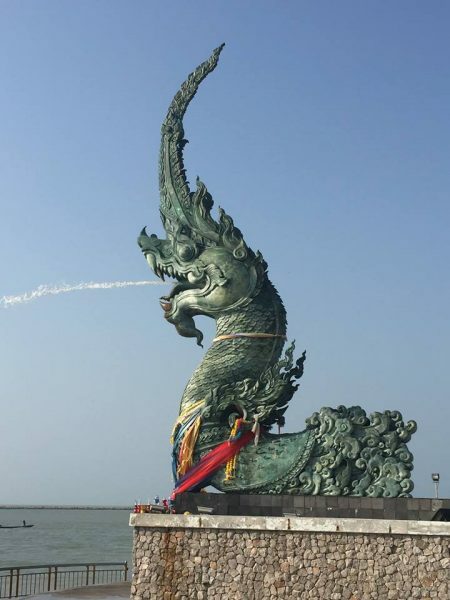 Also we have a myriad of statues throughout Songkhla, all with their own history and myths like the Mermaid Statue and Cat and Mouse Statue on Samilia Beach or the dragon that is separated into three parts (Head, Body, and tail) spread throughout Songkhla. It’s also great to go exploring the surrounding areas. 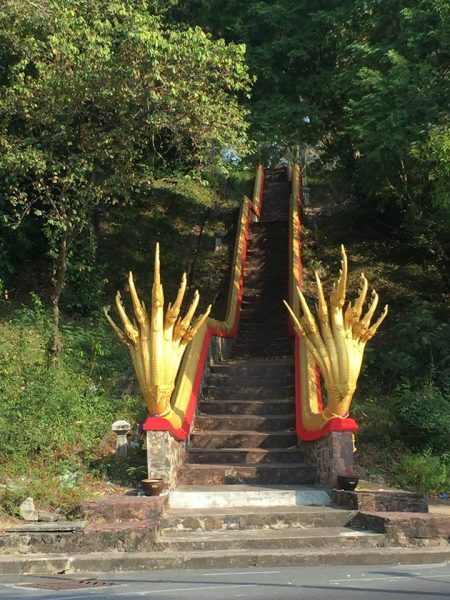 Koh Yo is less than 30 minutes away by motorbike and boasts amazing statues and monasteries as well as what I would call the best pizza in Thailand, at Sunset Café where you can catch a beautiful sunset on the water while scarfing down handmade sausage on top of your pizza and enjoying imported beers and ciders. 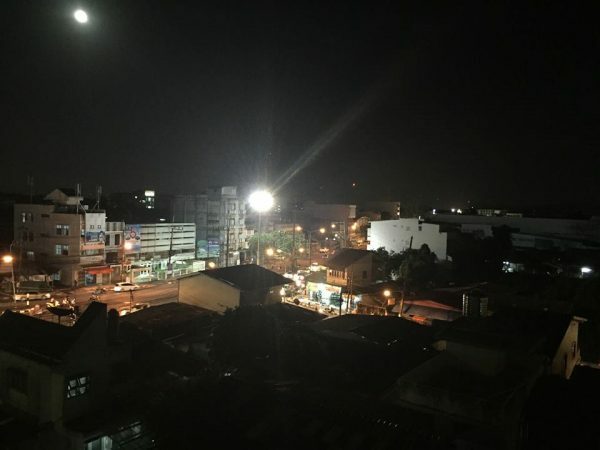 Also, as mentioned before we are less than an hour form Hat Yai which has more of a big city vibe with nightclubs the largest mall in the south and one of the largest in Thailand, Central. Festival. So what are my wise words of advice for living in Songkhla? First and foremost, come with a positive attitude. Like with anything in life, a positive attitude attracts positive results so smile and laugh, especially at yourself. Trust me the locals will not because you’re weird but for many, they’re shocked that you can speak any Thai and are foreign which is comical to them. Think of it as they’re not laughing at you, their laughing with you. Second be patient. The majority of the population does not speak English and there is a language barrier. But be open-minded to learning the language and culture. That’s why you came to Thailand, right? Third remember, you came through XploreAsia, so don’t be afraid to do just that, “Xplore.”. I’ve been here for about seven months now, and I know there’s still so much to see and so much I’ve left out.. Whether with friends or yourself, put yourself out there and discover! I want to leave you with this. 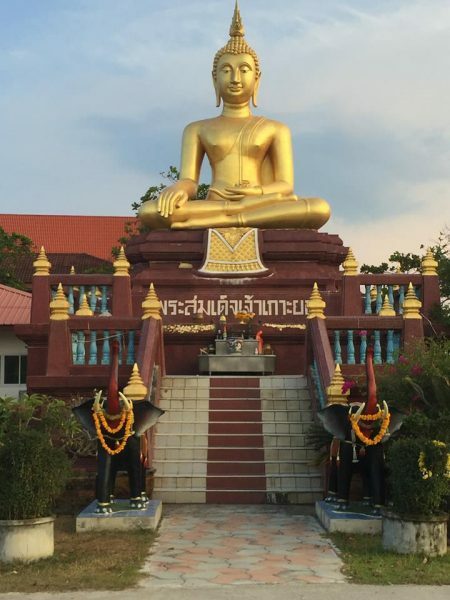 One of the first (if not the first) days of orientation, I remember Michael Volpe saying, “Most people will come to Thailand for two reasons; they are either running from or running towards something.” For me, it was both and somehow, my path took me to this incredible little place called Songkhla. To you my dear reader, I advise that if you are given the opportunity to teach in here, don’t hesitate or question it, take it! It’s one of the best decisions I’ve made in my 24 years on this big blue marble. If you make the same plunge, I have a feeling it might be for you as well. Whatever your decision, I wish you nothing but luck, positivity, and good vibes. Sawadee Krop my friend!